Ezra Stiles Gannett. Courtesy of the Unitarian Universalist Association. On the fourth day of May, 1801, the boy was born in Cambridge to the Rev. Caleb Gannett, steward of Harvard College, and Ruth Stiles, the daughter of the president of Yale, and named, for his mother’s father, Ezra Stiles Gannett. It was a grave Puritan home into which he was born, where duties and dignities abounded more than sympathies and grace. The father’s character probably gave the boy exactness and balance of mind, justice, and clinch on convictions; the mother’s gave impulse, enthusiasm, and tendencies to self-distrust; humor and poetry, probably, from neither; reverence, conscientiousness, and a practical intellect, from both. The mother died when he was barely seven years old, but her touch seemed on him still, guiding him toward his lifework; for his child’s chronicle of Sunday sermons runs back to an era when the mother’s hand records for him the first few texts. Through Andover and Cambridge schools he found his way, fifteen years old, to college. The glimpses of him on the way show a bright, serious lad. In college four hours a day of study gave him the first honors at graduation in 1820. And then, along with his chum, Benjamin Kent and William Furness and Calvin Lincoln—his three best friends among the classmates—he chose the ministry for his lifework. In the Divinity School he must have added to his reputation for bright seriousness; for one October day, soon after finishing the course, Dr. Channing, Boston’s leading preacher, knocked at his door. He came to ask him to preach half the time for him. In fifteen services he ministered, and then the parish gave the call; and the young man stood as colleague by Dr. Channing’s side in the Federal Street meetinghouse. His first sermon, as he faced the people now his own, fell on July 4, 1824, and had for text, “Receive us; ye are in our hearts to die and live with you.” That word he kept. All a young pastor’s first difficulties he knew well: the parish calls; the Sunday-school, then a new problem; the sermon-struggle, with late night-hours; the vestry meetings; the “occasional discourse” before the city’s charitable societies; the early failures, when he tried to speak extempore. Often his heart sank in him—he there by Channing’s side! And yet his real success was real and deep. His people’s eager action showed it so, when, after some three years, an urgent New York call came, tempting him to service at that outpost. For he was getting known as one who could do more than parish work. In 1824 the Unitarians were still unorganized. But the very next May saw the American Unitarian Association come into being, mainly by the impulse of the younger men, the older lending little aid for fear the movement would become a sect. Dr. Channing was among the doubters. His boy-colleague, on the other hand, is said to have drawn up the simple constitution, and was chosen secretary, an office he held the hard first six years. “His whole soul is in it,” wrote Henry Ware. Those very years were the hottest years of the Unitarian Controversy. He was too young to take part in the literature of it; but, with all the young man’s zeal to defend and extend the faith, he started in Boston the publication of tracts, and in the suburban parishes, “auxiliaries.” In vestry talks he often practised the argument, and once or twice a year in the pulpit would allow himself the set sermon on the theme. Channing also wrote little upon it, but every word of his told; and it was “Channing Unitarianism” which the colleague preached and, as secretary, tried to organize into a missionary church. Combining enthusiasm, logic, and practical judgment, he was by nature an organizer. Thus, in 1834, it was again his shaping pressure which led the Boston Unitarians to form their second large association, the “Benevolent Fraternity of Churches,” to support and spread the ministry-at-large among the city’s poor, begun by Dr. Tuckerman; and, again, he took the workman’s post of secretary. “You were made for action almost without intermission,” wrote Dr. Channing from his summer quiet in Newport. Twelve years of such toil by day and by night broke the worker down. Just before he knew what it was doing to him, he married Anna Linzee Tilden, of Boston (October 6, 1835). Even this uplifting failed to save him. The six months’ home was sadly closed; and the sick man escaped to Europe, the young wife following. Then came a long two years of travel, made possible by his people’s kindness. Slowly the days brightened with a growing hope of recovery. The last few months were spent in London, where the freshened preacher startled the staid Unitarian pulpits with an extemporaneous eloquence that sent him home with fame. Home, and, of course, to work. The very first summer after the return there came “the longest night I think I ever passed.” That night left him disabled for life. The paralytic stroke affected the right leg, whose power, except to suffer, was forever gone. Henceforth two short hand-crutches were his companions everywhere. Their click, and his quick, swinging leap between them, made him well known in the city streets. “It is Dr. Gannett on his canes.” The infirmity became a fixed condition of his life, far past complaint, past even thought. He stopped at nothing for it, neither State House cupola nor mountain climb. It seemed to have almost given him, rather than robbed him of, a limb. Three years later a second warning came—the warning whose third coming, as he knew, was usually its last. But now it seemed as if the main work of his life began. The new home was in Bumstead Place, a little niche off Tremont Street, one of the country nooks then hiding in the city’s heart. In his first limping days he took in charge an infant magazine, ancestor of the Unitarian Review; and, before yielding this to other hands, he was coeditor of the Christian Examiner. The age of lectures had begun; and the first lame winter the church was crowded to the pulpit stairs with listeners, listening two hours long to lectures on Unitarian doctrine. Sometimes the oil lamps went out before the audience. White-haired ministers, then students, long recalled their eager walks from Cambridge to hear him; for he had fairly won the secret of extempore speech. And honors came: in 1842 he gave the “Election Sermon”; in 1843, the “Dudleian Lecture”; and in this year Harvard made him Doctor of Divinity. “In all honesty it makes me feel ashamed, when I think how little I deserve it,” the Journal says. In 1842 Dr. Channing died. He had long before withdrawn from active labor in the church, so that the death added a new sense of responsibility, but hardly new work-burdens, to the man now left alone in the high-staired pulpit. And “Channing Unitarianism,” in a sense, was passing, too. A new thought was in the air. They called it “Transcendentalism,” for it transcended all evidences based on sense. Young Emerson and Parker were its prophets. Its emphasis was on the Soul, the present inspiration, the God immanent. The Soul had its own sufficing intuitions of God, Duty, Immortality. Jesus was “the one man true to what is in you and me.” It was Channing’s thought in blossom; but it was in blossom, and much of the thought of 1824 was vanishing. Therefore, Unitarians who still held that earlier thought—and these were the large majority—rose up in alarm. 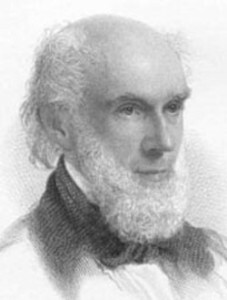 Theodore Parker, who declared that this was “Christianity,” was put under ban, so far as Unitarians could ban—that is to say, the ministers, with two or three exceptions, refused exchange with him, and thus transferred him from the country pulpit to large city halls, whence his word went forth, a word of might, for years. Mr. Gannett championed the elder doctrine as sturdily as Mr. Parker championed the heresy, yet both spoke out so manfully that each kept the other’s trust. Parker once said, “I would as soon leave my character with Dr. Gannett as with any man living.” And, when he went away to die, one of his little good-bye notes found its way, “with earnest gratitude,” to Bumstead Place. No trait in Mr. Gannett was more marked than honesty of mind. In all discussion, private or public, it was part of his own case to state the other side at its best. His instinct for fairness gave him name and made chivalric anecdotes. And, more, it kept him always a true liberal in spirit, considerate to young radicals and watchful of their rights, though in his own theology he remained to the end conservative, and grieved over the changing thought. His early vision was his latest. “Positive Christian faith” for him always included faith in Christ’s revelation. Once, looking back over forty years of ministry, he thus summed up his four familiar emphases: self-consecration, the basis of religious character; faith, a positive, definite belief respecting God, Christ, a miraculous revelation and its authentic record; righteousness, as essential to an experience of the life eternal; and, “grandest, holiest, dearest theme of all,” the possibility and joy of close communion between the human soul and God. The work drove on, hindered, but not stopped, by the aching nerves, the dyspepsia, the depressions, which made him often feel, “My work in life seems not to have been done, but to be past being done!” He read but little, and he wrote no books; but the seventeen hundred and fifty sermons left behind him, to say nothing of the piles of sermon-abstracts and lectures spoken without manuscript, tell of one industry. Not the chief, however, for in the “pastor’s” labors he was always more abundant. Saturday night for sermons, but the week for services of love and for his people in their homes. The more public record shows him president of the American Unitarian Association (1847-1851), of the Benevolent Fraternity of Churches (1857-1862), overseer of Harvard College (1835-1858). 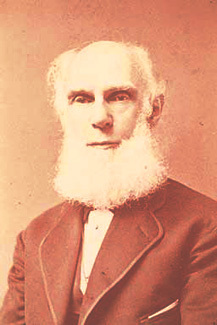 He gave the “Convention Sermon” (1848), the address to the alumni of the Divinity School (1850); for five or six winters took many a cold ride about New England, giving lyceum lectures; was in request for dedication and ordination services, and, as the gray hair whitened, especially for the ordaining prayer. “No one else so filled up our idea of the reverend Father in God.” Meanwhile the population was ebbing far away from the old meetinghouse on Federal Street, leaving it stranded among warehouses. At last the hour came to preach the farewell sermon there, and, at the end of 1861, to dedicate the beautiful new church on Arlington Street, opposite the Public Garden. And now it was war time. Peace, temperance, education, and many forms of charity—these were the “causes” which Dr. Gannett served all his life. But in the long anti-slavery struggle he had taken little part. With his whole soul he hated slavery, and spoke strong, solemn words against it. But he was too profoundly a peace-man to be an Abolitionist, his clear head foreseeing war as the result of the Northern abolition policy. He was too profoundly a lover of order and government to face peaceable disunion and its consequences—consequences which to him included slavery made more hopeless rather than emancipation. Only inch by inch he yielded this position. God save us from disunion! I know that slavery is a political and a moral evil, a sin and a curse; but disunion seems to me to be treason, not so much against the country as against humanity. The curse would not be removed, the evil would not be abated, no one would be benefited by it. The above from an 1850 sermon. In 1854, “Union may cost us too much.” After John Brown’s deed, “The maddest attempt ever made by one of the noblest of men.” To the very last he recoiled. And, when the war began, no war sermons rang from his pulpit, no young men of the parish were urged to enlist. “Remember God! Remember God!” was his one constant message to his people through the dark hours and the bright of those four years. With intense interest he watched and waited as slavery perished and the nation’s unity survived. In such war work as his conscience allowed he labored strenuously. On the bronze bas-reliefs of the Soldiers’ Monument on Boston Common his face appears in the Sanitary Commission group; and the Freedmen’s Aid Society had all his heart—it was “the great charity of the age,” he said. At the end of the war the good people, whose offers to increase his salary had been again and again refused, delayed his resignation by sending him again to Europe; and a summer there enabled him to struggle on a little longer through increasing weakness and depression. The new task he now undertook was to teach in a new theological school, extemporized by some of the Boston ministers. The old man taught the young men their “systematic theology,” or “the truths of religion,” as he preferred to call it. Whatever doctrine he taught, he taught them his humility and liberality of mind. To him, as one of the Fathers of the Church, it fell to give the semi-centennial address at the Cambridge Divinity School in 1867, in it once more illustrating his double loyalty to the old Unitarian beliefs and to the old Unitarian principle of freedom in belief. In December, 1868, the note of resignation, the last of many written, was sent; but still the friends said, No. So one more little journey south and west, and one more year of struggling work, and then, with a sad heart, as of one who had failed to do, at last the old man yielded up the active charge of his society. As “senior pastor” he still served in homes, and now and then in church, for a few months longer—months slowly brightening as his heart accepted the necessities of age, so long resisted. On June 25, 1871, he preached all day to his people, in the afternoon a new sermon on “Constant Growth in the Religious Life.” Then came a happy summer in the hills—a summer whose days he seemed to spend endearing himself to friend and stranger there. Home again in August. One Saturday night, the 26th of that month, he took the cars to go to Lynn, still on a preaching errand. Another train dashed on them from behind. And then the bruised body was laid to rest in Mount Auburn, and many hearts in many homes were sorrowing. “Body, soul, and spirit, as much as in him was, he did the work of an evangelist in the city for nearly half a century, in word and act.” Wherever he was seen passing with his rapid step, jumping along on his two canes, men felt the presence of the sense of duty.